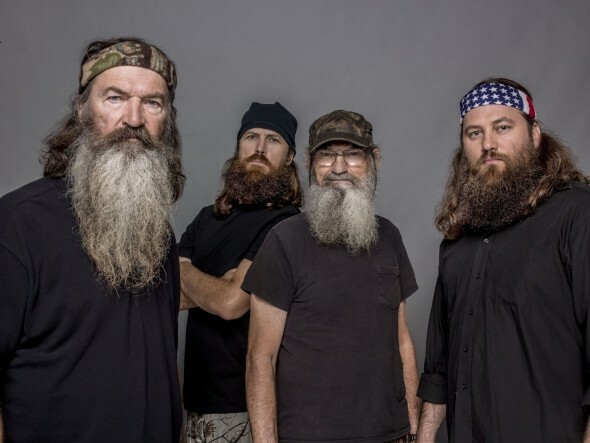 Duck Dynasty is getting ready for a new season on A&E. Season nine will premiere on the series in January, and the season nine finale will mark a special milestone for the reality series on February 17. Season nine will kick off on January 13 with back-to-back episodes. Find out more about the return of this A&E series from the press release below. A&E Network’s hit series “Duck Dynasty” kicks off the new year with a bang as the Robertson family sees two of their own off to college, launch new business ventures and showcase more unforgettable family antics over nine brand-new episodes. This latest season will wrap with a very special one hour season finale celebrating the series’ 100th episode milestone on Wednesday, February 17th at 9:00PM ET/PT. The new season premieres Wednesday, January 13th with back-to-back episodes at 9:00PM ET/PT and 9:30PM ET/PT on A&E. Are you planning to watch season nine of Duck Dynasty? Tell us what you think. More about: Duck Dynasty, Duck Dynasty: canceled or renewed? Nope. Not funny and I don’t care about any of them. Absolutely. I will be watching Duck Dynasty as will all of my extended family. We love this show and its family values. As a matter of fact it is the main reason I watch this network. What is the deal with all these Hillbilly shows nowadays? Do people watch these shows because they need a good laugh in these trying times? If you have to ask,then why you readin this article? We watch this show because it is a wonderful family show. Good values and great love between all members of this show. Yeah. It’s a family show, and what happens after the cameras are off, stays in the family, if you catch my drift.